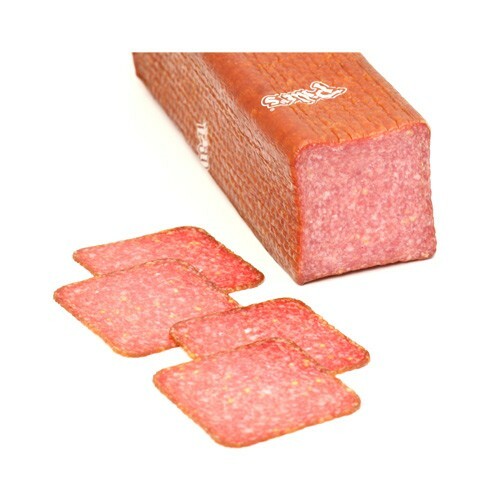 This salami is made using lean cuts of ground pork and blended with a variety of spices and mustard seeds. Smoked for approximately seven days and air-dried for about 1 month, this salami creates a delicious balance of savory, smoky, spicy and salty flavors. A delicious ingredient for sandwiches or paired with rich, nutty cheeses on your appetizer plate.